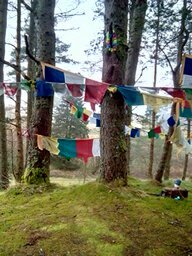 A three-day weekend retreat with Julie Wise and Greg Horner at Samye Ling Tibetan monastery (just over the border into Scotland). “We can never obtain peace in the outer world until we make peace with ourselves” Dalai Lama. Peace is the root that allows us to grow and flourish. The fragrance of the flower cannot exist without the root, which will grow naturally when provided with the right conditions. On this retreat, we will provide the right conditions for the flowering of inner peace so that its fragrance may spread throughout your entire world. 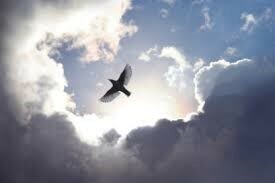 We discover inner peace when our body is relaxed, our mind is quiet and our heart is open. It is then that we become as one with life and relate to all that it brings from our peaceful centre within. Inner peace is the joy, the bliss, the love and the harmony that comes from the acceptance of what is. It is our birth-right and our destiny; it is who we truly are. Opening to the pe aceful reality of our intuitive wisdom. Cultivating loving compassion for ourselves and all beings. Changing our perceptions so that peace can naturally arise. Practising the ancient arts of Tai Chi and Chi Gung. Connecting with the healing power of nature. Using body centred practices to heal our disconnection from peace. Learning meditations that open us to the still presence within ourselves. 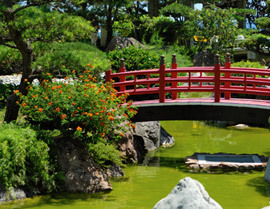 Awakening to the peace of the present moment by incorporating mindfulness into our daily life. Enjoying the company of like-minded people in beautiful surroundings. 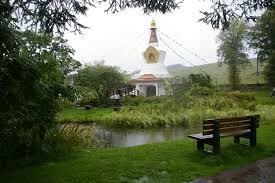 There will also be time to enjoy the beautiful, peaceful, and relaxing surroundings of Samye Ling (the first Tibetan Buddhist centre in the West) – its temple site, gardens, fairy hill, the splendid café and shop, as well as the local countryside. This retreat is suitable for beginners and those with experience. Price: £375, which includes single room accommodation and full board (excludes transportation). 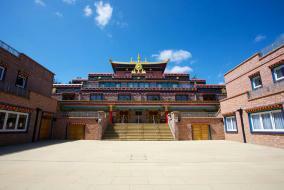 Location: Purelands, Kagyu Samye Ling Tibetan Centre, Eskdalemuir, Langholme, Dumfriesshire. DG13 0QL. Places are limited, so please book early if you are interested. To reserve your place, please send your name, email address, and a deposit (non-refundable) of £100 to Woodlands, 54 Silverdale Road, Arnside. LA5 0EH. Cheques made payable to Dragonfly Healing Limited, or email for bank details to transfer funds to info@juliewise.co.uk. Tel: 01524 874 603. “A big thank you for the beautiful time we all had together on the Retreat. I thoroughly enjoyed my 1st time at Samye Ling and will certainly love to have the opportunity to join you on future retreats. Thank you so much for facilitating all the amazing energy experiences…. You both use your gifts with such beauty, integrity and wisdom. ‘ Julie is a wise and patient teacher with huge amounts of wisdom to impart which she does with grace, humour and humanness (if there is such a word! ), often using her own life as an example. This makes her very approachable and understanding. Her courses really do change your life, with much tears and laughter on the way. 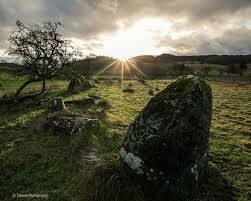 Give yourself the gift and opportunity.’ Jo Cumbria. “I wanted to say a BIG Thank you for giving us such a special weekend at Samye Ling two weekends ago. It really was memorable and I hold the time there in my heart. These journeys in our life are not easy and it is assuring that I can find peace on occasions such as weekends like that. It sure helps!